The Endless Summer Watermelon RideSM is in the books. No hurricane and rave reviews on the post ride survey! With 584 registrants, attendance was significantly off from prior rides where we have attracted a couple hundred more riders. This is probably a legacy of last year’s cancellation with no makeup ride or refund. I’m sure there was some reticence to committing to a ride during hurricane season. Matthew and Irma resulted in cancellation of several rides throughout the region and the state. But now it’s on to planning the Tour de Forts ClassicSM on April 28, 2019. I want to thank again all those who volunteered for the Endless Summer Watermelon Ride. Finding enough volunteers to put on our major rides has always been a struggle and race to the finish. We continue to try to define volunteer positions to maximize the number of volunteers who can ride. But, there will always remain a core of positions that must be staffed on the day of the ride. We just can’t put these rides on without volunteers. See Jeff Hohlstein’s article on volunteers elsewhere in this issue. We welcome Shelly Nobles as our new Event Director. Jade Stanley received a promotion at her full-time job and no longer has the time to direct our major rides. We thank her for all her hard work resulting is successful rides and wish her well. Shelly was recommended to us by Jade and she worked with Jade on the Endless Summer Watermelon Ride. See Jeff Hohlstein’s article elsewhere in this issue discussing why we have gone to hired Event Directors. Over a year ago, I posted a question on our website Forum whether we should continue with two major rides annually. More recently, I had a conversation with a member, who quite generously volunteers himself, that some members just don’t really see what they get out of putting on the major rides. This gave me pause to reconsider the question I posted previously. The origins of both Tour de Forts Classic and Endless Summer Watermelon Ride date back about 30 years. They were not always in their current locations. At one point the Tour de Forts was a two-day ride, traveling to Fort Clinch one day and the Castillo de San Marcos the other. 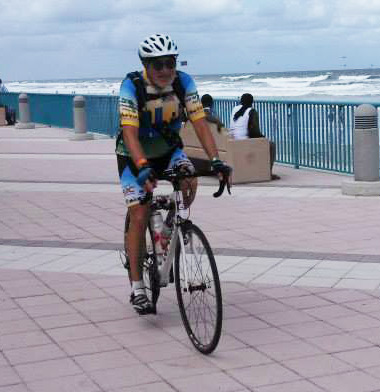 When I first did the rides around 2012, the Endless Summer Watermelon Ride was held in St. Johns County and the Tour de Forts in Duval and Nassau Counties. While we could vary the locations of the two rides, I believe what makes our rides most attractive is the proximity to water. No matter how many weekly rides the club sponsors, the major rides have a different feel, that of a big party we throw for ourselves. We could forego the major rides and leave it to other clubs and organizations. 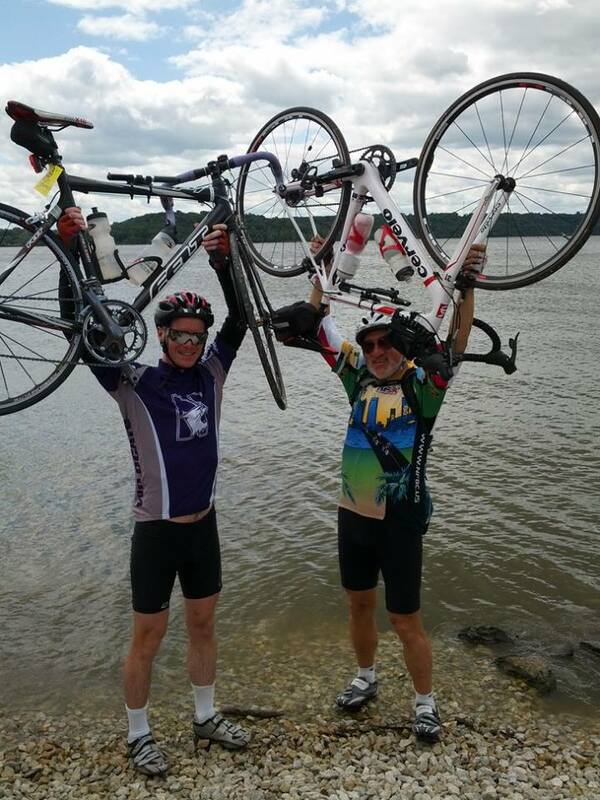 We do have a Travel Team and a Charity Ride Team, but those rides require travel outside our area or increased cost with fundraising minimums for Bike MS, Tour de Cure, and the Katie Ride. It would seem to me that a club our size, probably the largest in Florida, can afford to put on a major ride for ourselves at least once a year. Do we need two major rides a year? From a practical viewpoint the profits from the rides fund the shortfall from dues and our safety outreach. The club activities not fully covered by dues include picnic rides, Holiday Party and Awards Banquet, including the awards themselves, and some of the Charity and Travel Team costs. The profits are largely generated from non-members who come to our major rides. With only one major ride a year, we would halve those profits. Could we survive on half the profits? Frankly, we may see sooner than later. With the significant falloff in registrations from Endless Summer Watermelon Ride, our per participant cost has risen from about $40 per person to $60. Member registration was only $50 and non-member, $60. With our participation down by over 200 riders, that amounts to a shortfall of around $10 ,000 in registration fees. If we go to just one ride a year, choosing a date my present some complexity, even if we rotated the locations. We stopped holding Tour de Forts Classic on Amelia Island in April as the community could not handle another big event with the Katie Ride and the Shrimp Festival just before and after the date for the Tour de Forts Classic. Once we vacate a date, even for a year, I think another club or organization would move into that time slot. The competition for dates to hold rides is tight. Given the vagaries of weather, I would be loathe to rely solely on a ride in September. So, what do we get for holding two major rides a year? We get an active, vibrant club that offers many activities and advocates for cycling safety. On another note, due to the generosity of our members less fortunate children in our region will experience the joy of riding and owning a bicycle. Jerry Potts has just launched our annual campaign to buy Bikes for Needy Kids. We hope to raise $10,000 to support the purchase of bicycles by the Jacksonville, Children’s Christmas Party, Nassau County Sheriff’s Office Charity, Firefighters for Families in St. Johns County, and the JP Hall Charity in Clay County. Click here to donate. I welcome your input. Please email me at prez@nfbc.us with your thoughts.